This perfect beach read includes two sizzling summer romances, Pulled Under and Swept Away, in one charming collection! 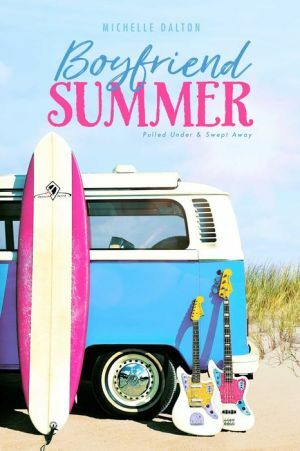 In Pulled Under, Izzy Lucas only needs her surfboard and the waves of Pearl Beach, Florida, to be happy…until the cute and charming Ben Barker walks into her life. A unstoppable romance blooms quickly between the two, and as the weeks of surfing lessons and moonlight walks fly by, Ben inspires Izzy to risk everything and compete in the biggest surfing event of the year. But Ben is only in town for the summer, and Izzy can’t help but wonder if this amazing guy is worth stepping out of her comfort zone for what might be the perfect summer romance. In Swept Away, Mandy Sullivan is navigating three months filled with countless lobster boils, endless workdays at the historic Rocky Point lighthouse, and tourists in town for the popular Lupine Festival. But everything changes the moment Mandy spots a new—and incredibly cute—face in the festival’s crowd, Oliver Framingham. The two fall deeply for each other as they attend the many local parades and romantic hikes along Maine’s picturesque coast. But Mandy knows it’s too good to be true, because when summer ends, Oliver just might have to leave the town—and the girl—he’s fallen in love with. Is being swept away worth the risk? Or will the tide pull them under?